Freedom is the key to any great vacation. That means the freedom to see new countries, dive into different cultures & cuisines, and uncover hidden gems along the way. But a perfect trip should also mean relaxing exactly the way you want. That’s why Thrillist partnered with Norwegian Cruise Line to sail us to some of their many unique ports of call, so we can show you how to tackle your best day trip. And whether you’re taking a submarine tour of Kona’s reefs, or walking along the Punalu’u Black Sand Beach, cruising with Norwegian means you always come home to amazing food, entertainment, and accommodations to recharge for the discoveries to come. From deep brown coffee farms and volcanoes, to flowing green rainforests, to white-sand beaches, Kona looks like a living, breathing high-res computer screensaver. Taking up 60 miles along the west shore of the Big Island, Kona brings in people from all over the world to try its famous coffee, hike its coastal parks, and experience outdoor adventure (2,500 foot waterfalls, anyone?). 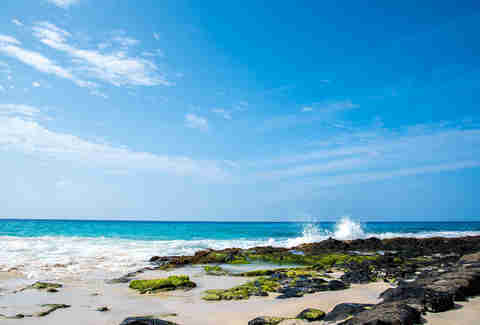 So whether you’re exploring Kona for a few hours or a few weeks, here are the sights that need to be on your itinerary. Get your leis and stomach ready. Even though the big island has two active volcanoes and four national parks spread around it, you don’t need to leave Kona to increase your heart rate. At Kailua Pier, try sportfishing, paddle boarding, or exploring 100 feet below sea level next to turtles and dolphins via submarine. When you’re ready for greenery, head to north Kona to hike the Ala Hele Ike Trail in the 1,600 acres Kaloko-Honokohau National Historical Park. This short trek ends at the secluded Honokohau Beach, home to a spring-fed lava pool, where you can rinse off after a dip in the Pacific. Volcano seekers on a time crunch can gawk at recent lava flows and towering waterfalls in 30 minutes with Paradise Helicopter Tour at Kona Airport. Do this all in one day, and you’re really living. Poke is synonymous with Hawai’i, so not devouring a bowl of the umami-packed raw-fish dish on your visit isn’t right. 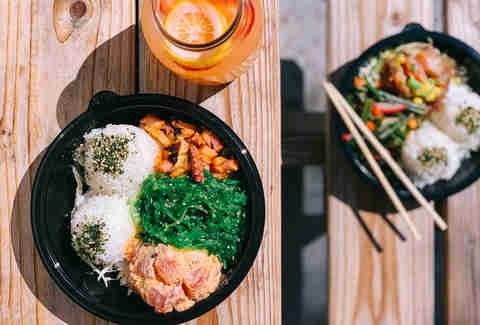 Umekes Fishmarket Bar and Grill, where award-winning chef Nakobe Pabre has earned the spot “Best Poke In Hawai'i” twice, is walking distance from the pier in downtown Kona. For poke vets who have more time on their hands, just an 8-minute drive south is Da Poke Shack, another beloved local poke spot. Try head-turning takes like the Kimchi Tako Poke while you gaze at the water and wonder why you don’t live here. Diving into Kona’s history only requires your two legs. 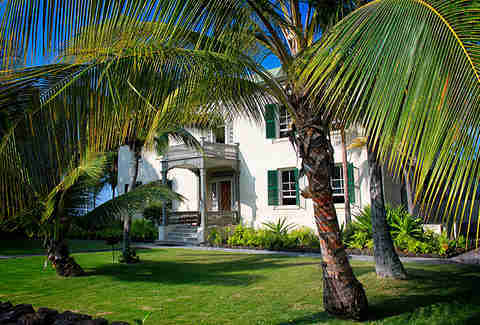 Kick off a cultural walking tour beginning on Alii Drive in Kailua Village, home to Hulihe’e Palace. Built in 1838, the former summer vacation home for Hawai'ian royalty is now a stunning public museum. On your way to enjoying an afternoon scoop of toasted coconut ice cream at Kopelani, snap a pic of the oldest Christian church on the islands across the street. End the tour by picking up a few souvenirs for the fam (like a Ukulele or two) while taste-testing local fruits and ingredients at the Kona Farmers Market. Yep, it’s that Kona. Even though the iconic island beer has made its way into mainland brew culture since it opened 20 years ago, there’s nothing like visiting the OG brewpub and its first restaurant in Kona. Post up with a Wailua Wheat Ale on the sprawling 2,000-foot outdoor lanai, or take a $15 brewery tour that, as expected, comes with a whole lot of sampling. 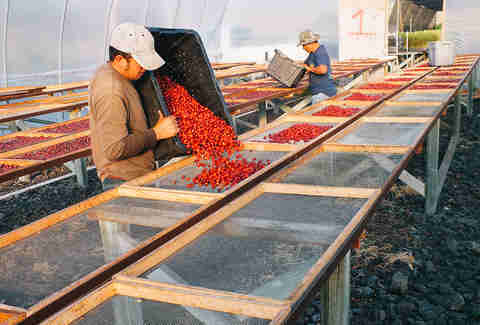 Just like winemaking in Napa, producing world-class coffee is an art form in Kona. The blend of just the right amount of precipitation, sun, and active volcanoes creates a unique terroir prime for smooth, bold java. So sure, definitely get caffeinated all around town, but not touring the plantation at Hula Daddy Kona Coffee farm would be a mistake. Learn how they make one of the top six reviewed coffees in the world and then indulge in a free tasting. It’s the one place the coffee might just be as strong as the beer. No matter what direction you take, there’s a beach for every kind of chill. If the crew wants to stick close to town, Magic Sands Beach is one of the few beaches in the area with white sand, and also happens to be one of the best places to bodyboard thanks to powerful, non-stop surf. For a less-crowded getaway that requires a thrilling hike through lava rocks, Makalawena Beach is only a 30-minute drive north up the coast. Head south to Kealakekua Bay, and make it a point to snorkel in its freakishly turquoise waters. 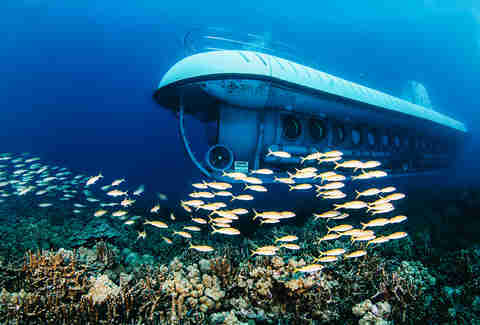 Neighbors include coral, tropical fish, and the occasional spinner dolphin, so don’t forget an underwater disposable camera. Whether it’s aloha or, well, aloha, sipping on a Mai Tai next to the Pacific at Huggo’s On the Rocks is quintessential Hawai'i no matter what part of the trip you’re on. The landmark eatery is built into the rocky shoreline and is absolutely prime for sunset ‘grams. So grab an epic tropical drink, and start living your best island life while a live band plays the soundtrack to the moment.